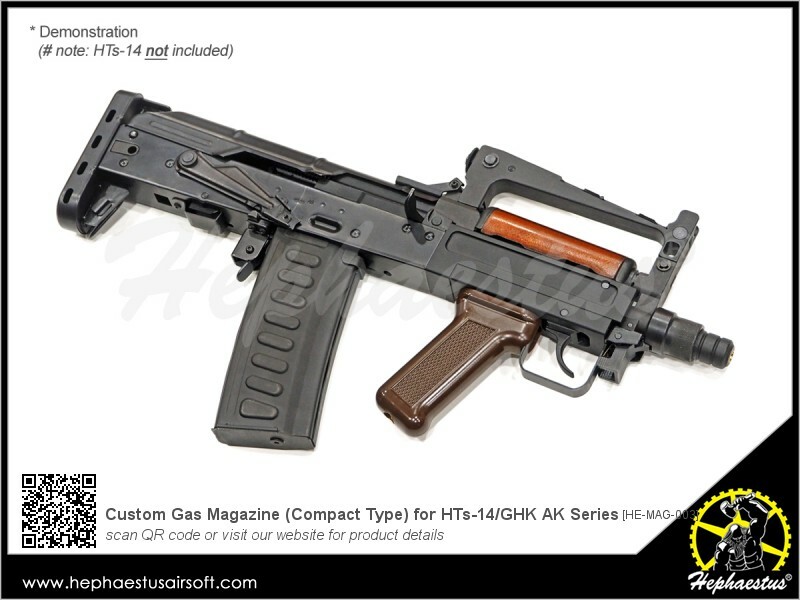 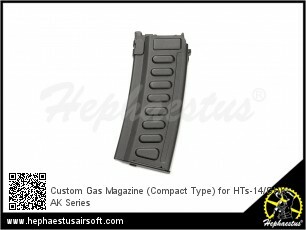 Custom-made for HTs-14 and GHK AK GBB series. 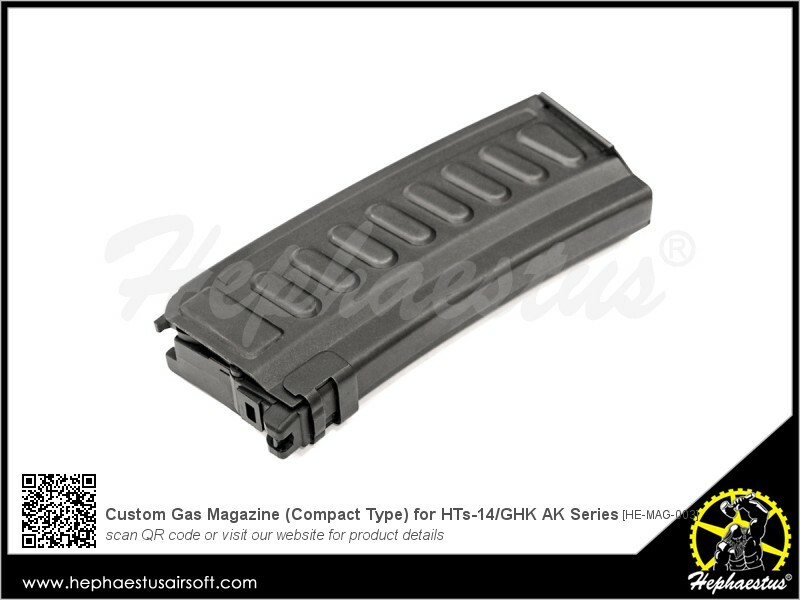 Stamped steel shell with abrasion-resistant QPQ finishing. 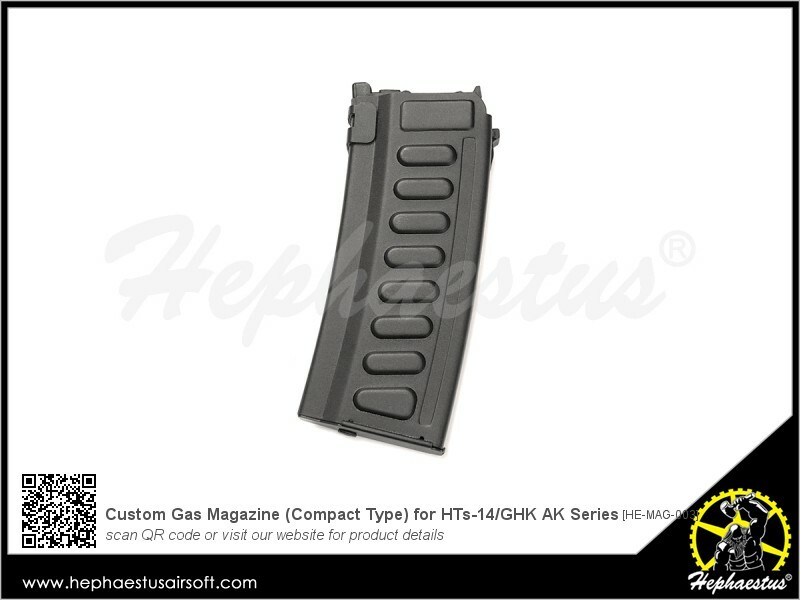 Compact design to improve agility and ease shooting in prone position.